480 x 800 Native Resolution at 292 ppi. Hi-Res Audio Certified. SBC, LDAC, aptX, aptX HD & LHDC Support. Use as USB DAC or Bluetooth Transmitter. Lightly used FiiO BTR1 with strap. Works great, has no known issues. Also, I have many portable amplifiers and interconnects that is a lot of fun to stack and play with the X5 player through the line-out, they can be really cheap just ask if you're interested. Extra like new Dignis leather case included too, making the player stylish! The DAP is in perfect working order, again, with no flaws. I have upgraded my DAP and no longer need this particular unit. The DAP is running the latest FiiO firmware and has been set to factory settings, so you can set the player up to your specifications when you get it! FiiO M6 Portable High-Resolution Lossless Wireless Music Player. Condition is gently used. Always been kept in the case with screen protectors on. Comes with all original accessories and packaging. Will reset to factory settings. Excellent condition X5 second edition. Includes box, plastic carrier, etc. Also included is a TUFFLUV brown leather case. I have upgraded to a OPUS #2. but I have to say there is not a big difference in the sound quality, just more refined and smoother. FiiO X3 Mark III (3rd Gen) High Resolution Digital Audio Player . Shipped with USPS Priority Mail. FiiO FA7 Best Over The Ear Headphones/Earphones Detachable Cable Design HiFi Quad Balanced Armature Driver in-Ear Monitors for iOS and Android Computer PC Tablet (Blue(L) and Red(R)-Clear Abstract. 4 Knowles BA drivers in each of the ear unit work perfectly in harmony with masterfully-tuned four-way crossover. ). 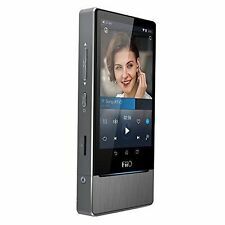 New FiiO X3 III High Resolution Music Player-Black with Surprise Free Gift !! Special Free Gift only for Limited Time !! 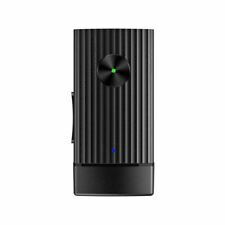 4 out of 5 stars - New FiiO X3 III High Resolution Music Player-Black with Surprise Free Gift !! 5 product ratings5 product ratings - New FiiO X3 III High Resolution Music Player-Black with Surprise Free Gift !! Open box item, opened to verify contents. FiiO E10K Olympus II Portable Headphone Amp/DAC. Authentication Sticker with serial number. Portable Headphone Amplifier. AAA battery powered portable headphone amplifier. Suitable Headphone Impedance: 16 Ohms - 300 Ohms. Head Phone OutPut : 3.5mm Standard TRS Jack (2 Ring). 12mW @ 300 Ohms. FiiO Q1 Mark II Native DSD DAC & Amplifier - Lightning-to-Micro USB Short Cable - Micro USB Long Data Cable - 3.5mm Audio Cable - 2x Long Silicone Bands - 2x Short Silicone Bands - Silicone Pad - Carrying Pouch - FiiO Warranty. FiiO A3 Portable Headphone Amp - Black Fa3111. Condition is Used. Shipped with USPS First Class Package. Fiio Kunlin E18 USB Dac Headphone Amp. Condition is Used. Shipped with USPS Priority Mail. Works great! I barely used it. You will get what you see in the picture. Has screen protector applied. No SD card included. Instruction and manual are not included. Manual can be conveniently be viewable by searching "FiiO Q5 Quick Start Manual". does not clued slip mat . Good condition; powers up and works fine. This is the nature of the wheel on this model and it's better to use the forward and back buttons, although I have read on line that firmware update may help this. Multiple interfaces-Dual headphone jacks(3.5mm and 2.5mm) 3.5mm line out Coaxial and optical digital outs. FiiO F5 Balanced In-Ear Headphones with Aerospace Titanium Diaphragm and iOS Android Compatible Mic and Remote. The core of a earphone's sound is the driver diaphragm - without great diaphragm design and materials, you can never achieve truly excellent sound. FiiO Q5 Bluetooth DAC Amplifier. Condition is used in very good condition. Everything works. It comes with the box and all original accessories. Connect the K1 to a computer via the supplied USB cable and get instant music gratification. The K1 has no battery, needs no charging and requires no drivers, making it the perfect plug-and-play digital-to-audio-converter to improve your computer's audio output. The FiiO i1 is an Apple MFi certified, digital-to-analog converter (DAC) and headphone amplifier designed for the Lightning connector. The digital audio signal enters through the Lightning connector end that can be connected to the Apple iPhone/iPod/iPad (and other Apple products), while the analog audio signals are pushed out through the 3.5mm output. Scroll wheel has a slightly sticky spot when scrolling in one direction. Does not affect the performance. Shows normal wear. I kept it in a FiiO Silicone case to protect the shell as much as possible and the plastic on the screen was never removed. FiiO X7 Mark II Android-Based Smart Hi-Res Lossless Music Player with AM3A Amplifier Module - Micro USB Cable - Coaxial Digital Adaptor Cable - Tempered Glass Screen Protector (Already Applied to Screen In-Factory) - Clear Case - Ejector Pin Decorative Strip - Leatherette Case - Quick Start Guide - FiiO 1 Year Limited Warranty. FiiO F9 SE Triple Driver Hybrid In-Ear Monitors, Red. Included Components : 1 x Earphone, 1 x Eartip Set (S,M,L) for Optimized Bass, 1 x Eartip Set (S,M,L) for More Balanced Presentation, 1 x FiiO HB1 Waterproof Carry Case. Whether soaking in the intricacies of a high resolution recording, or just rocking out to your favorite beats, the A3 is the perfect power source for your favorite headphones. FiiO A3 Portable Headphone Amplifie. Native DSD Playback. Audio Player & USB DAC. Cirrus Logic CS4398 DAC Chip. Includes Hard-Shell Case. 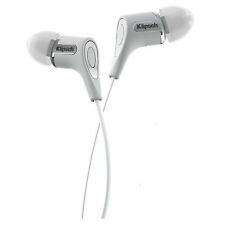 Supports up to 24-Bit / 192 kHz. microSD Card Support up to 128GB. These are estimates! We apologize for your inconvenience. FiiO A1 Portable Headphone Amplifier (Silver). MFG Part #: A1. 3-color status LED for clear indications. FiiO F9 SE Triple Driver Hybrid In-Ear Monitors, Black. The F9 SE utilizes a hybrid design in which each channel is composed of one dynamic and two balanced armature (BA) drivers. The 9.2mm dynamic driver is specifically tuned to produce bottomless lows while the two BA drivers precisely portray extended upper-mids and highs. Whether soaking in the intricacies of a high resolution recording, or just rocking out to your favorite beats, the A3 is the perfect power source for your favorite headphones. A fully discrete bass boost circuit increases output by 3.5dB at 60Hz, producing a gentle swell of low end energy that preserves the overall sound field. 32GB of Storage and 1GB of RAM. Supports WAV, FLAC, AAC, MP3, & More. Android-Based Portable Audio Player. Up to 9 Hours of Audio Playback. Data transfer: USB 2.0. Play order & modes. microSD Card Support up to 128GB.